New to the market and SO MUCH NEW TO SEE! Open Sunday! This one is for YOU! Completely remodeled spacious home on the Worcester / Auburn line sits at the end of a dead end street offering a wonderful view! But wait until you see the inside! New hardwoods throughout the open main level that offers tons of natural light with the french door from the mudroom. BRAND NEW kitchen with granite and stainless steel! Additional pantry space! NEW first floor half bath with laundry! Upstairs you’ll find three full bedrooms with restored hardwoods and a NEW full bathroom. Master bedroom has a BONUS room through the restored french door. NO LACK OF SPACE HERE! Full dry walk-out basement, level back yard and vinyl siding. NEW roof, NEW electrical, NEW plumbing, NEW kitchen, NEW bathrooms! Easy highway access by 290 and Holy Cross! NOTHING TO DO BUT MOVE-IN! Come see this home and fall in love with it! Make it yours today! Check out the video walk through! Click here to view on youtube! This 2 bed, 1 bath renovated cape in Marlborough is close to downtown with offstreet parking and a fenced in yard. Nice high ceilings, hardwood floors and so much charm! 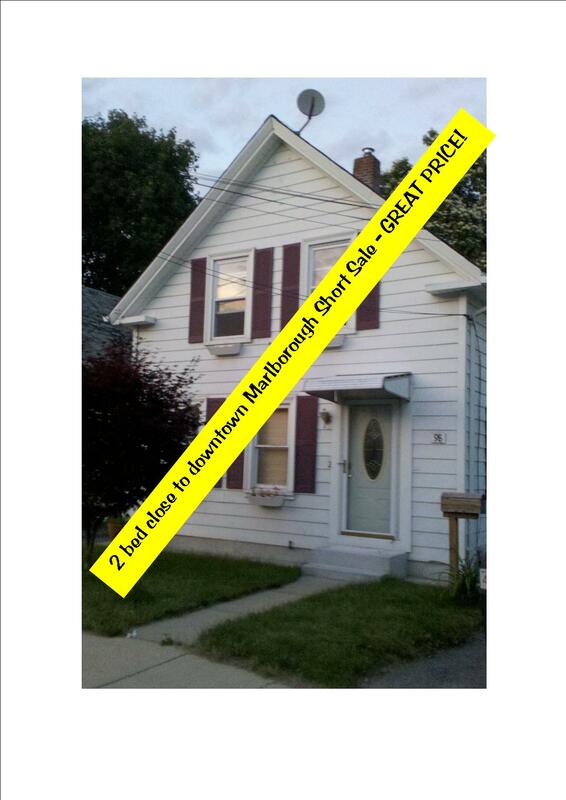 Short sale and coming on a GREAT PRICE!